Handmade to order in our UK studio, please allow 7 days for delivery. 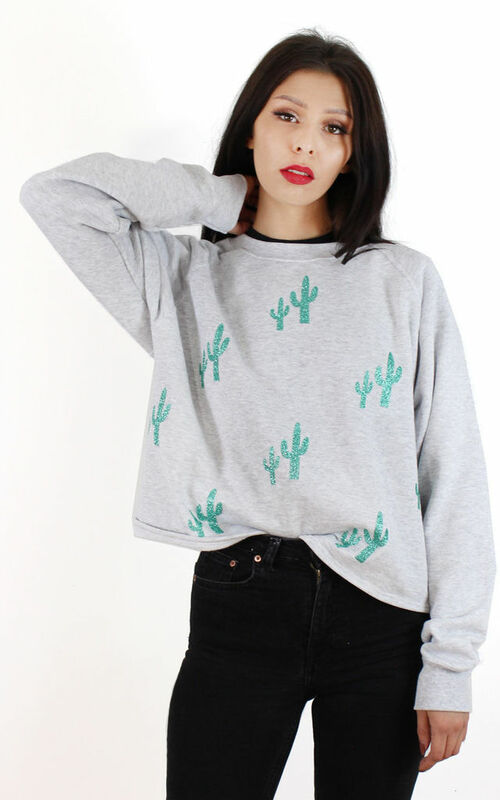 This gorgeous Oversized Boxy Cactus Sweater from our AW16 range is perfect for chilly days in Autumn. The super cute glitter cacti are in a green transfer placed on the front of a marl grey raglan sleeve sweatshirt. The Jumper itself is super soft and oversized for a comfortable and relaxed fit in a boxy shape. 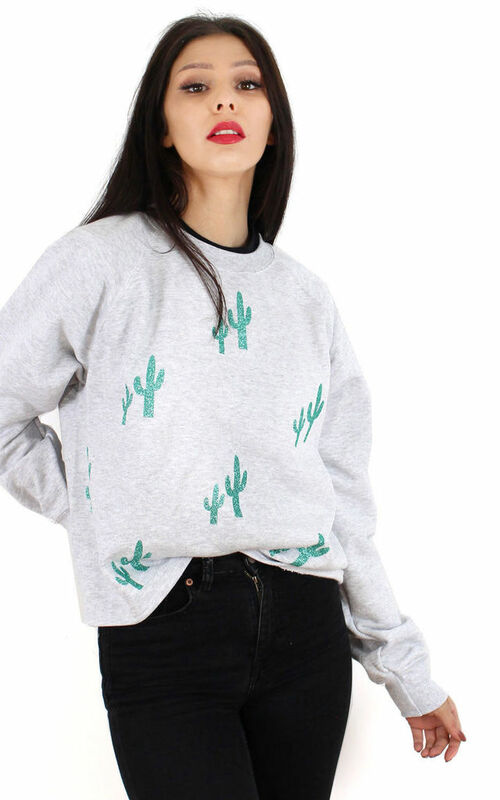 Very warm and perfect for the AW16 season teamed up with boyfriend jeans and boots. Also available on a t-shirt. Hand finished with love in our UK studio. 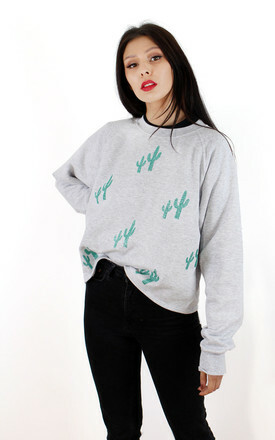 If you love our Cactus Sweater were sure you will also love our Unicorn Jumpers.